First molecular glimpse: Molecular markers delineate the different cell types within an attached human embryo, shown here 12 days after fertilization. A structure called the epiblast, for example, is shown in green. The key developmental landmarks observed using this novel system accurately match those of normal human development, up to 12 days after fertilization. Despite significant biomedical advances in recent decades, the very earliest events of human development­—those that occur during a critical window just after fertilization—have remained an unobservable mystery, until now. New research from scientists at The Rockefeller University shows, for the first time, molecular and cellular processes in human development that occur up to day 14 after fertilization. Published in Nature on May 4, the breakthrough system is the first in which the process of implantation has successfully been replicated in an experimental setting, outside of the uterus. This novel technique vastly expands the ability to answer basic questions about our own development, as well as to understand early pregnancy loss. Implantation is a crucial step in human development. Occurring shortly after fertilization, implantation is the process by which the small, hollow ball of cells called a blastocyst attaches to the uterus, allowing an embryo to begin to take shape. “This portion of human development was a complete black box,” says Ali Brivanlou, Robert and Harriet Heilbrunn Professor and head of the Laboratory of Stem Cell Biology and Molecular Embryology. To shed light inside that box, the researchers overcame several key problems: they surrounded the blastocyst with just the right chemical environment, and provided a suitable scaffolding for it to attach to. Previous research from co-author Magdalena Zernicka-Goetz and colleagues at the University of Cambridge established a similar method using mouse blastocysts, after multiple attempts to define the right combination of factors. This prompted Brivanlou and colleagues, including research associates Alessia Deglincerti and Gist Croft, research specialist Lauren Pietila, and fellow Rockefeller scientist Eric Siggia, Viola Ward Brinning and Elbert Calhoun Brinning Professor and head of the Laboratory of Theoretical Condensed Matter Physics, to adapt the technique and create an attachment culture for human embryos. “Through this international and multidisciplinary collaboration combining mouse embryology, human embryology, and physics, we were able to create a system that properly recapitulates what happens during human implantation,” says Deglincerti. One known difference between mouse and human development is the shape the blastocyst is in as implantation occurs—it is oblong in mice but shaped like a disk in humans. “We actually reproduced the disk,” says Deglincerti. Once the system was in place, the researchers determined that the embryos displayed the landmarks characteristic of normal development, including the timing of key events that occur in early embryonic development up to 12 days after fertilization. Viewing this stage of development in such detail for the first time also uncovered some surprises. Early cellular distinction: Different cell types are shown above in an early human embryo, six days after fertilization. Cell boundaries are indicated in white, cells of the inner cell mass (which will give rise to the embryo proper) are in green, and trophoblast cells (which will give rise to extraembryonic tissues) are in purple and magenta. Also unexpected was a phenomenon they observed known as self-organization. In simple terms, self-organization is when parts of a system become ordered without any outside influence, and it is seen across both living and nonliving systems. One example is the formation of a snowflake, where independent water molecules get together in symmetrical shapes and forms with no external force. On a larger scale, self-organization is a factor in the formation of galaxies and cosmos. The scientists originally hypothesized that implantation induced molecular cross talk necessary for development. They continue to believe this dialogue happens, but their findings indicate that this is not required up to day 12. In addition to insights into the molecular details of this process, the findings from Brivanlou and colleagues have several clinical implications. In the near future, the ability to study implantation in culture is likely to shed light on why some early miscarriages occur and why in vitro fertilization has a high failure rate. Perhaps most importantly, this new method opens the door to a wide variety of studies, never before possible, on the molecular events that occur during the very earliest stages of human development. In accordance with internationally recognized bioethical guidelines, the group’s experiments were concluded on day 14 post-fertilization, well before even the earliest signs of nervous system development are observed. An accompanying Nature commentary, however, suggests that the current 14-day limitation should be reappraised. 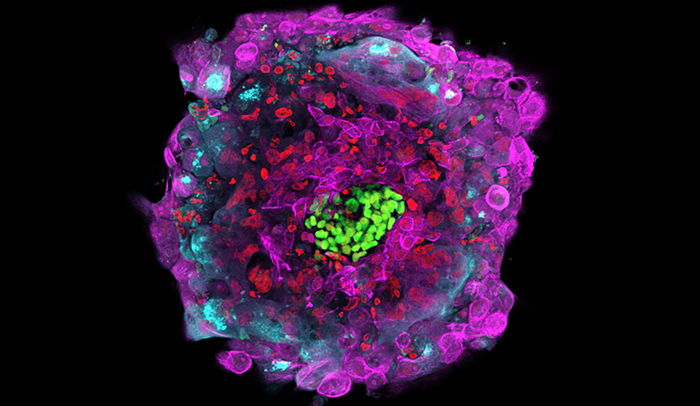 Rockefeller’s Amy Wilkerson, corresponding author Insoo Hyun of Case Western Reserve University School of Medicine, and Josephine Johnston of The Hastings Center argue that it is crucial to understand how the guideline applies to different types of embryo research in different jurisdictions and to reevaluate its pros and cons. “Now that it has become possible to culture human embryos to the 14-day limit and perhaps beyond, the time is right for the scientific community to educate the public about the potential benefits and to work with regulators on ethical consensus to guide this important research,” says Wilkerson, associate vice president of research support at Rockefeller. While Brivanlou plans to focus on understanding initial implantation in more detail in the near term, the commentary authors suggest that revisiting the 14-day rule in a way that can both support research and accommodate diverse moral concerns could allow scientists to model additional aspects of early human development, and potentially shed light on the disorders that result in early pregnancy losses and birth defects. This work was supported by a STARR Foundation grant (number 2013-026) and Rockefeller private funds.